Home > Blog > Apps to help your activity weekends away go smoother! Nowadays we’re rarely without our phones in our hands for much longer than 10minutes. If you’re guilty of this you’re probably spending your time on any one of a number of apps we all download, e.g. Facebook, BuzzFeed or Instagram! While scrolling through these does little but cure your boredom, other apps have been created by modern entrepreneurs who have come up with solutions to make your everyday live a little bit easier. This is certainly true for travel, so we’ve taken a look at a few which might be of use when you book your next activity weekend away. So if you’ve decided where you want to go, of course you’re more than likely going to need flights to get there. While manually looking through all the available airlines for your route is useful in comparing prices and times, some apps have been developed to let you do this from your phone. As well as making for easy comparisons, with the app downloaded on your mobile it means you can quickly navigate this while with your travel companions to discuss which option is best for you. Two of the most popular apps for doing this are Skyscanner and Expedia. Both work the same way, only needing your preferred dates of travel, number of travellers and airports. However, while Expedia handles the booking directly through their app – making them responsible for your booking your flights with the convenient airlines, Skyscanner simply redirects you to other travel companies who take care of this – so make sure you feel confident in the supplier it takes you to. So once you’ve got your flights taken care of (and hopefully already booked your accommodation package with ActivityBreaks.com! ), it’s time to start thinking about what all you need to take with you. No matter how well prepared you are, there’s always something small which you only remember when you’re halfway to your destination. Especially if you’re heading off on an activity weekend, we recommend using the app Packpoint. You simply select where you’re going, the dates, length and then click on all the activities you’ll be trying out while there. This then checks the weather to advise on clothing, as well as giving a list for each of the activities which you can tick off as you pack. At the end you can even send this list off to everyone else who’s travelling with you – this might be super handy for group travel! Online check-in is both a blessing and a burden. While it’s handy to be able to check-in before you get to the airport, avoiding another long queue, it also tends to only open around 24hours before your flight. This is handy if you’re travelling after a weekend, but if you’re heading off on a Friday straight after work, it might not be convenient to do this while working. However, with many airlines now having a free app to download, you can check-in through this and even use your mobile as your boarding pass (just be sure to keep a charger handy!) As well as this, many (e.g. Ryanair and Easyjet) will send notifications to your phone if your flight’s delayed so that you don’t have to check this up on a computer, or worse wait and find out at the airport! Is your next activity weekend a winter ski break? If so, firstly congratulations on being so well organised! Secondly, a really handy app you should consider before you head away to Europe is the OnTheSnow Ski & Snow Report. This is basically the go-to app to know which slopes to hit and what to expect. If your nearest slopes are shut, you can also use the GPS on it to locate the nearest slopes to make sure you don’t miss out on the snow during your activity weekend! For those of us who aren’t great with maths, or for all of us when the exchange rates aren’t a basic 2:1, the XE Currency App is really useful for knowing what you’re spending abroad. While 3124¥ might sound ridiculous for your dinner, in fact this is around £20! By downloading the XE app you can easily check before making a purchase how much you’re spending in your own currency. Don’t worry about roaming charges either, as the app will store the most recent rates from when you were last online so you don’t need to use up your data to check on-the-go. It can be difficult when travelling to a new place to work out exactly where is best to try for dinner, or which sights are worth seeing. Take it from people who’ve been there with the FourSquare app. You can be as specific as you like with what you’re looking for – e.g. pizza or craft beers, and it’ll find the best rated places from other users. Much like Trip Advisor but minus a lot of the negativity, this app is great when you’re on the go in an unfamiliar place. 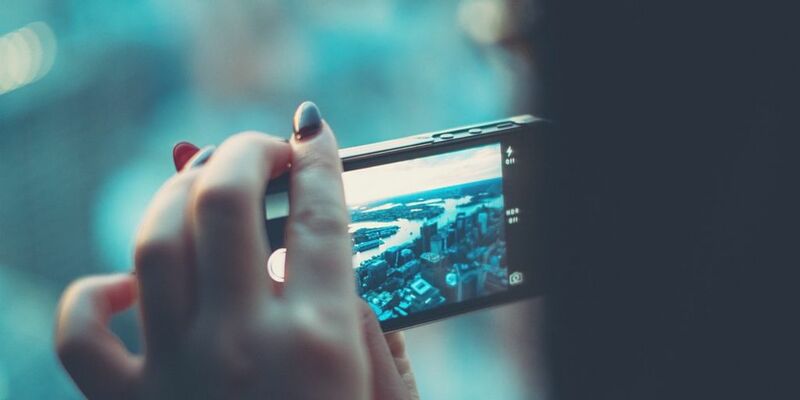 Do you always take hundreds of photos on any trip? Next time you head away on an activity weekend, you can make sure your friends all see the highlights of your trip by creating a mini slideshow with Flipagram to easily share on your social media. With a huge selection of popular music available to act as a soundtrack you can easily convey your latest adventures in a quick way that ensures your friends see every moment! Are there any other apps you’d recommend that we’ve missed? Let us know in the comments below!